In addition to the sublime `Shadow of Time', a pair of very different collaborations with up-and-coming electronic musician Robert Logan and a stunning archival live release `Pinnacle Moments', progressive electronic/ambient icon Steve Roach closes out 2016 with no less than three complete brand-new studio works, all offering glimpses of very different aspects of the artist's personality, genre bending and constantly exploring musical mind. Of the three, `Fade to Gray' is a long-form moody drone, and `Painting in the Dark' a lightly psychedelic pure ambient work, but this one, `Spiral Revelation' is constantly lively, and, like its colourful cover art, full of a pulsing energy, often in the form of heavy rhythmic-driven compositions that Roach doesn't step into all that often these days, making it another very welcome and exciting change of direction. `We Continue' starts the most gently and prettily, an opener that will become an instant Roach classic, holding traces of his early years with the honed intelligence and subtlety he's mastered over the decades. Whimsical chiming notes ring amongst glistening pools shimmering to the surface with the same joyful and comforting love that flitted through `Reflections in Suspension' off Roach's seminal 1984 classic `Structures from Silence', a nurturing innocence and comforting embrace at its very core. The fizzy beats of the ringing `Unseen Hand' skitter out of rising/falling caresses, the relentless `Finger on the Pulse' unravels with danger, mysterious electronics bleed and seep through `A Righteous Thing', and `Primary Phase' is a restrained head-nodding chill-out, growing strident beats and cinematic slivers weaving tastefully together. But the closing twenty-minute title track `Spiral Revelation' is a masterclass of deeply atmospheric and enigmatic prog- electronica, and is likely a piece that vintage electronic/Berlin school fans will greatly appreciate. Endlessly hypnotic with just a hint of early Klaus Schulze alien danger and the grace of Robert Schroeder's `Harmonic Ascendant' but given a modern and vital interpretation, undulating beats grow in presence and rippling unease with subtle surges forwards and retreating waves back, locked forever in an unceasing spiralling loop. A stark pure-ambient coda is exceptionally haunting, and it wraps the disc in a surprisingly emotional and subdued manner. It's very welcome to see the artist delving back into another more melodic, energetic rhythmic-based work so soon after 2015's `Skeleton Keys'. This collection provides endless movement and momentum but crucially doesn't skimp on the most minute of ambient intelligence constantly coating the background to give it a delicate richness, and it proves instantly that ambient albums can still be full of life and vitality. 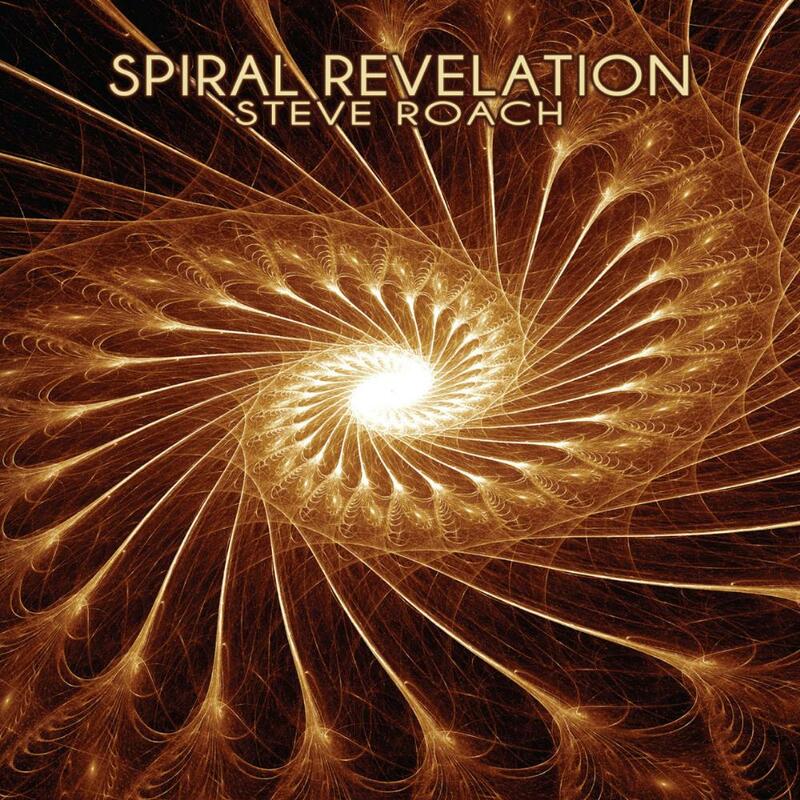 `Spiral Revelation', along with the other two wildly different above-mentioned simultaneous releases here, ensures Steve Roach wraps a wildly successful and artistically stimulating series of intelligent releases throughout 2016, and sets up the new year as surely another inspired, creative, divisive and absolutely vital period for the prog-electronic/ambient icon.